The Museumsinsel (Museum Island), Berlin, was made a WHS for its modern museum design and its concept to extend the art museum to all people (by chosing a central urban setting). The buildings fell into disrepair after being bombed during World War II. Now they are being reconstructed. Like so many parts of Berlin, the Museum Island is under heavy reconstruction. The Bode Museum and the Neues Museum are closed at the moment. Fortunately, the Pergamon Museum is still open to visitors. Quite a number of people were already present before its opening at 10 a.m. It's one of the most famous museums in the world because of its unique collection. The masterpieces are architectureal structures from the Near East in their original size. The Pergamon altar, the Milete market gate, the Ishtar gate: they could have been WHS in their own right if they were still in their original location. After the Pergamon, I did a quick walking tour of the area. Very quick indeed, because most places are guarded off. Also I discovered that the Museum Island is not really an island (but a peninsula). You can buy a combo ticket for the museums and I would recommend doing that because you really want to see the range on offer - not just exhibits but also the architecture of the building. My highlight was certainly the Pergamon and I recommend you don't miss that one, whatever you do! The New Museum is spectacular, particularly for the Egyptian collection, and I also really enjoyed the Old National Gallery - particularly the design on the building interiors. I rushed through the Old Museum because it didn't really grab me. The Bode Museum was a surprise for me and had a lot more than I expected with a great variety - but unfortunately I got here only shortly before closing and had to just walk through quickly. I think it deserves a bit more time than many people give it. When I visited Berlin's Museum Island ten years ago, I had no idea it was a World Heritage Site. Consequently, I only visited the most celebrated museum on the island -- the Pergamon Museum. The reconstructed Ishtar Gate was as spectacular as I'd expected, with its brilliant blue brickwork bedecked with aurochs and dragons. I also appreciated the Pergamon Altar, with its exquisite friezes of Greek gods. I was especially impressed with how large both the Ishtar Gate and the Pergamon Altar were in person. Germany acquired these works of art through archaeological expeditions in the late nineteenth and early twentieth centuries. I understand in today's world that it may be better to keep such cultural treasures in their home countries where they can be seen in context, but these ancient works of art and architecture that made their way to Europe in an earlier era are well-preserved, and have at least inspired me (and hopefully many others) to travel more and learn more about ancient cultures. 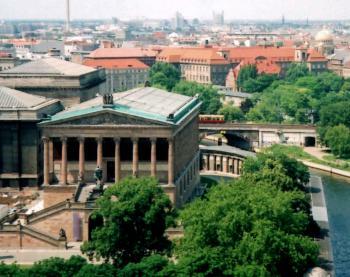 Logistics: Museum Island can be reached by bus, taxi, or a walk from a U-bahn or S-bahn station. While on the island, the view of the city and museums from the top of Berlin Cathedral (Berliner Dom) is amazing. I visited this WHS over 3 days in June 2014. I bought the 3 day Museum Pass for 24euros which gives you access to several museums in Berlin apart from the 5 museums on Museum Island. The view of the Museuminsel from the boat trips on the Spree River is worth having. There are massive works going on to implement the masterplan of connecting all 5 museums by 2026 so there will be cranes around Museuminsel for quite some time. I was very happy to be able to visit the Pergamon Museum before it closes its doors this month till 2019. The Ishtar Gate, the Aleppo Room, the Pergamon Altar are the highlights of this museum. However, after having spent a whole day in this musuem, I have to underline that these are just the cherry on the cake. There are treasures upon treasures to see and it definitely deserves to be considered one of the top museums in the world. 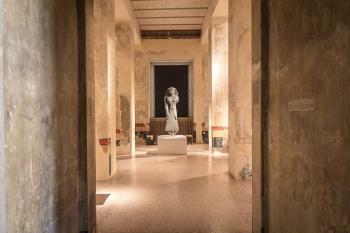 The Neues Museum's highlight is the beautiful bust of Nefertite. Once again this is just the highlight of a rich collection of Ancient Egypt artefacts and remains. 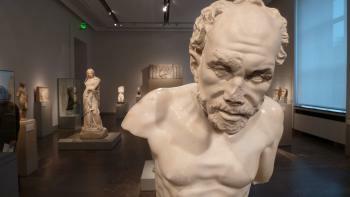 The Bodemuseum and Altes Museum are the places to go if you love sculptures and statues. My highlight there however was the exterior of the Bode Museum which is perhaps the best one out of the 5 museums. Finally I visited the Nationalgalerie which houses a vast collection of the 19th, 20th and 21st centuries. Museuminsel is definitely one of Berlin's highlights and I'm really curious to see how it will develop in the near future. The best known and most impressive of the five museums is undoubtedly the Pergamon Museum. It is primarily known for the examples of ancient architecture such as the Pergamon Altar, the Ishtar Gate from Babylon, the Market Gate of Miletus and the Mshatta Facade. The enthusiasm for these highlights in the previous reviews is absolutely justified. But there is much more to see. 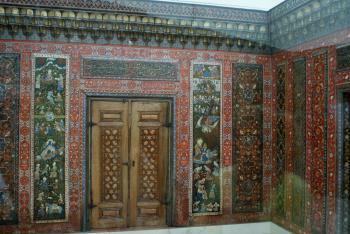 I was very impressed by the collection of Islamic art (e.g. the Aleppo Room, photo). Even if you only take a look at the highlights of the museum, you can easily spend half a day there. In October 2009, the reconstruction of the Neues Museum (by David Chipperfield) was completed and now, for the first time since WWII, all five museums are open for the public. 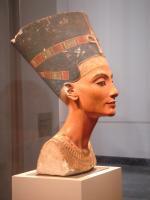 Neues Museum shows the famous Nefertiti bust, but I was even more enthusiastic with the renovated museum. The building was severely damaged during the WWII and Chipperfield rebuilt it in its original shape. The original remains were preserved and irretrievably lost parts were replaced by modern elements. So the devastation of the war remains visible. If you have more time, you should also visit the Bode Museum, at least the cupola hall is well worth seeing. Between Bode and Pergamom Museum, the Museum Island is crossed by a railway viaduct. Many visitors wonder about that. If one would plan such a railway track today, they would surely get in trouble with the Unesco. But the track was already built in 1875 and is part of the WHS, it is explicitely mentioned in the nomination file. From the cupola of the nearby cathedral you have a nice overview on the whole museum complex. Although the renovation has begun already in the 1990s, the work is far from being finished and the concept is still under discussion. In particular, the construction of a new visitor centre (by David Chipperfield) in front of the Neues Museum is controversial. The visitor centre should be finished in 2015. Then all museums will be connected by an underground passage and the courtyards will also be accessible. The restoration of the Pergamon Museum will take even longer (expected by 2026). But the museum will remain open during the renovation. Also planned, but still controversially discussed, is the construction of a fourth wing, which was already included in the original plans. The Museum Island is one of my favorite places in Berlin, because of both the collections and the buildings. I've been there a few times, but I've still seen only a part of the collections. I'm looking forward to see how the Museum Island will look like when all the renovations and new constructions are completed. I don't want to add any unnecessary excessive praises to this unbelievable complex. I would just like to recommend you to buy the three days pass which is very cheap (costs the same as two simple entries) and allows you to visit the entire collection (as well as all State museums!) with no rush. Don't miss the often overlooked Muslim collection. It's incredible! I went to Berlin for the first time in September 2006. Museum Island was the first place I had scheduled to visit. Between the Altes Museum, German National Art Gallery, the Pergammon Museum and Berlin Cathedral (I attended Gottesdienst at 10 a.m. Sunday morning), I must have spent 22 solid days there before I even looked at the Brandenburg Gate or the Reichstag. All were wonderful to visit: the Pergammon Museum is a real "jaw-dropper", and the Berlin Cathedral is Magnificent. I heard the organ playing and a choir from Rostock, with a lovely soprano soloist, sang beautifully. The "Dom" appears "Catholic" in decoration but, when you see the statues of Luther, Zwingli, Melanchthon and Calvin, you know it's Lutheran. The Cathedral Crypt, where several generations of the Hohenzollerns lie entombed in their ornate funeral monuments, in well worth a visit. My only disappointment was that the Bodes Museum and the Neues Museum were both closed for renovation. (Hopefully, I'll see them next timed I visit Berlin.) But, just on the west side of the river, lies the wonderful Museum of German History - not actually on the island, but right "next door". The only thing which spoils the island, is that ugly, half- demolished monstrosity, which used to be called the Palace of the Republic - but who needs to waste time looking at that? Situated in central Berlin, Museuminsel is located on the Spree Island and only comprised of 5 museums which have been considered being the first group of public buildings that specifically built for museum. 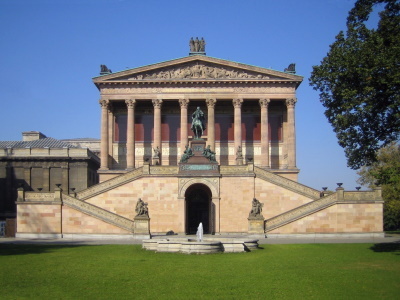 The five museums are Bodemuseum, Pergamonmuseum, Altes Museum, Neues Museum and Altes Nationalgalerie. Until 2015 the whole museum island is under a grand project of renovation and refurbishment with construction of underground complex that will link five museums together, so you have to check museum information carefully before visit as the museums can be closed unexpectedly. From all three museums that still open, I only visit Pergamonmuseum and Neues Museum. Pergamonmuseum, maybe the best museum in Germany and Europe, has many great collections from Greek, Roman, Persian, Egyptian and Babylonian civilizations. The Ischtar Gate is very stunning while the Greek Pergamon Altar made my jaw dropped for a while. The stone carving of Mschatta Palace ruin which is the gift to the last Kaiser is also unbelievable. In Neues Museum, the grand rotunda is exceptionally beautiful and adorned with Greek marble statues. The pride of Neues Museum is the Egyptian collection and the bust of Nefertiti is one of the most well known ancient Egyptian art works. I spent almost whole day for just only two museums, and had to leave the Altes Nationalgalerie for the next time. In my opinion, Museuminsel can easily take Berlin in the same level with Paris, London or New York in terms of museum collections with any doubt. These museums are quite fascinating as Germany did not has much colonies but still able to possess many artifacts like other empires. Museuminsel is maybe one of the best things in Berlin and should be on the must list of every travelers. I have visited this site twice, once in 2003 and again in 2005. Whether viewing from the canal ride on the Spree or by land, one of the bridges or the large commons in front of the Island Museums, this is as spectacular a site as any in the world. It's sheer size and scope of art, antiquities and architecture is staggering and magnificent. The aerial view is the most stunning. Vestiges of WWII bombing can still be seen on some of the exterior walls, now being restored. The decorative ornaments have been removed and restored, some still missing, some reinstated. We viewed the Nefertiti (Nofretete) exhibit here in 2005, which was stunning in its scope and beauty. A group of museums is probably an unusual World Heritage Site, but in this case there can be no doubt that its statuts is deserved, and there are very few other sites in the world that would earn a similar distinction (I'm waiting for the US to nominate the Smithsonian Museums, though). Great monuments to the Age of Enlightenment, all museums (at least the ones currently open, as there is a massive amount of restoration going on) are interesting, but the Pergamon Museum tops them all. I would say not even the British Museum (which is a really great institution) can match the archaeological contents and the interior of this building (well, maybe they are equally good). The Berlin Cathedral next door is also very interesting, especially the view of Berlin from the top. Nobody coming to Berlin should miss this area (and will not, anyway, because it's right in the centre). 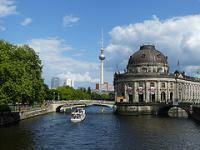 This group of museums at the end of an Island in the Spree are one of the premier attractions of Berlin. The reason for its inclusion on the list is the actual institutions and buildings, these being one of the first purpose built areas to display exhibits to the wider public. However the collections are pretty impressive and the exhibits of the Pergamon museum are one of the highlights of the city. When I first visited the Pergamon I was wowed by the exhibits; the Ishtar gate was the thing that stuck with me most and really got me interested in Mesopotamia, it has been something I have enjoyed investigating at museums throughout the world, but my interest stared here, so for me the museums certainly did what they were designed to do and ignite curiosity. The buildings themselves are actually quite interesting, especially Schinkel’s Altes Museum, which inspired many subsequent German architects especially Mies Van der Rohe. Hidden behind the flat façade is an impressive Rotunda, which you are free to wander into even if you don’t want to pay to see the exhibits themselves. As with most of Berlin there are major building works going on both on the museums themselves and on the former site of the Palast der Republik which is gradually being rebuilt as Stadtschloss, it will be interesting to see how this works out, Berlin has been very brave and successful with its modern buildings and I wonder if rebuilding a Baroque palace will work or just seem like pastiche. All in all I enjoyed Berlin more on my second visit discovering its artier side in Prenzlauer Berg plus the highly unique and thoroughly recommended Propeller Island Hotel. The museum island really should not be missed if you are visiting Berlin, the area is nice for a stroll in the heart of the city and the exhibitions are world class. Aurochs: The "Ishtar Gate" which has been reconstructed in the Pergamon Museum shows "alternating rows of bas-relief mušḫuššu (dragons), aurochs (bulls), and lions, symbolizing the gods Marduk, Adad, and Ishtar respectively"
Europa Nostra Award: Neues Museum (Prize 2010 for Conservation). Developed since inscription: A contemporary building "James Simon-Galerie" is under development in front of the Neues Museum for completion in 2012 ("modern with a hull of satin glass and steel").